Aegon’s Dutch roots date back to 1844. Today, the company has operations in more than 20 countries, including North America where it is known as Transamerica. Aegon offers a range of insurance, pension and savings products. Aegon made a strategic decision to focus on growth in the Pensions business line. The company wanted to to inject new business application capabilities, while also avoiding the costs of scaling its legacy infrastructure. Aegon decided to build a modern Pensions Management System that would support growth in the business. They wanted to do it fast, and in their heavily-regulated industry they had to do it right. 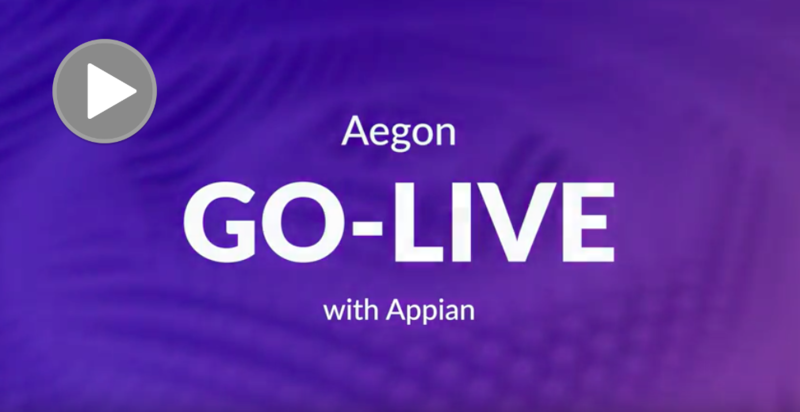 Using Appian Cloud, Aegon built their next-generation solution for holistic management of the pensions business. It is automated, digital, and secure, and it supports compliance because it is fully-auditable. Using Appian Records, the solution unifies underlying legacy systems, present a 360-degree view of the customer and business context. It was developed in under 3 months, and it’s flexible to support a dynamic business.